And Oroszi thinks that technology has a similar role to play in the language industry today. Translation technology has evolved over the past 30 years and the advent of translation memories in the 1990s shifted the industry from a manual to computer-aided model, Oroszi explained. From 2005, early-stage machine translation technology was available and was starting to be used in addition to translation memory software, he said. Oroszi said that technology that is capable of augmenting the translation workflow is already available, and humans still remain at the core. 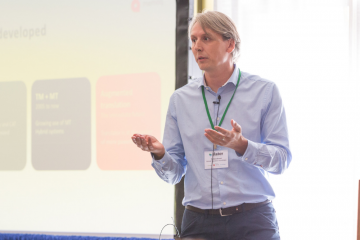 But, what the future of augmented translation looks like will depend on how far humans (translators, project managers and business owners) engage with these technologies and how effectively these tools and workflows can be personalized to their users, the memoQ CEO explained. Quoting a survey memoQ conducted in 2018, Oroszi said that 90% of respondents believe that translators will need to increase their technological skill set if they want to remain competitive in the industry. Oroszi also told SlatorCon that memoQ’s research found that “the technology skill-set is the barrier, not the technology itself,” meaning that people still need to learn how to use the technology effectively for augmented translation to be a complete reality. Another factor that influences uptake of and engagement in technology is personalization of systems, according to Oroszi. According to the MemoQ trend report, he said, 80% of people think that smarter personalization of methodologies will be on the rise in 2018. Oroszi spoke of memoQ’s journey to date in developing technology that aims to “give everyone the opportunity to understand each other better.” Oroszi then described what came next for memoQ: memoQ Zen, an SaaS offering with a web interface that also supports speech recognition. “You can now dictate to your software [and potentially] save 15, 20% of your time,” Oroszi said. 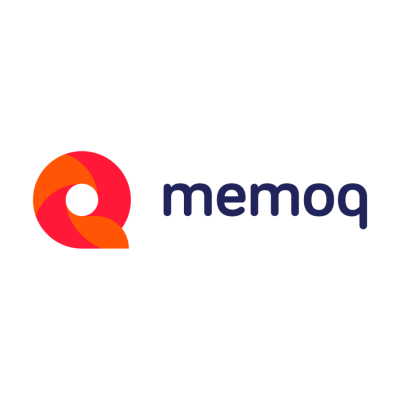 “Hey, memoQ,” the company’s speech to text app, made its debut at this year’s memoQfest conference. Users can open the app on their devices, start memoQ on their PC, and connect the two by scanning a QR code. The app relies on the cloud-based speech recognition that is part of iOS, and sends everything users dictate straight to memoQ. Users can control every aspect of memoQ’s translation interface through commands specific to the translation environment, in any of the 30+ languages that have dictation support in their smartphones. Yet, even when the technology is right, success is not inevitable and relies also on the human (user) experience, he explained. For example, one tester provided feedback on Hey memoQ saying that the system worked and the translations provided by the tools were accurate, but that he preferred dictating over the computer instead of via smartphone. This feedback, again, speaks of the impact that skill-set and personal preference has on how individuals use technology, said Oroszi. By Oroszi’s own admission, memoQ is a complex and interconnected web of tools and platforms. “At memoQ, we [add] 120 features each and every year,” he said, and “I don’t think that any of our customers [have] implemented even half of them in the last two years. It’s complex and challenging,” he added. “It’s our job to show our customers that they can introduce new possibilities into their workflows and integrate complex translation technology systems,” Oroszi said, indicating that customization and personalization are key. Does Oroszi think this is a problem? Not at all, since he believes that the purpose of technology is to help clients with their unique business model. “It’s my job to show you that you can integrate these systems—not all of it, but part of it,” Oroszi said, indicating again that customization and personalization are key. And memoQ will still keep adding more and more technologies and features to their offerings, he said. Revisiting the automotive analogy, Henry Ford, Oroszi said, left an indelible mark on the car industry. Though he did not invent the automobile, Ford made cars available to the masses. “I don’t know if we will be the Henry Ford,” Oroszi added. Gartner’s hype curve from a slide from Oroszi’s presentation. What he does know, however, is that the technologies that are being hyped up today will be tomorrow’s new normal. Oroszi pointed to Gartner’s “hype curve,” a statistical curve mapping new technologies including blockchain, virtual reality, autonomous driving and deep learning. “I haven’t even heard of half of these technologies. God knows in two or five years, the majority of this will be mainstream,” he said. Ultimately, in the midst of all of this technological advancement that makes augmented translation possible, Oroszi sees the true benefit as creation of time. “memoQ itself, the translation technology itself, gives you more time. It’s a resource that gives your translators, owners and project managers time,” he said. Since time is the scarcest resource for any given translation process, practically everyone is attempting to leverage smart technologies to automate. “Our vision is not based on the architecture of technology we offer. Our vision is to make time and give powers – augment our customers as much as possible,” Oroszi concluded. Norbert Oroszi is CEO of memoQ Translation Technologies, a translation management system of choice of hundreds of enterprises and translation companies. memoQ was Lead Partner of SlatorCon San Francisco 2018.